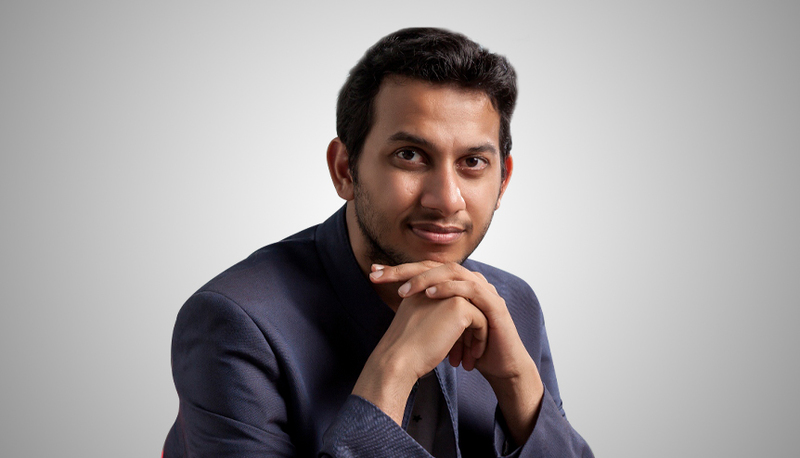 Ritesh Agarwal is the Founder and Group CEO of OYO Hotels and Homes, one of India’s largest hospitality companies. In this interview with ‘India Global Business’, he explains OYO’s global strategy based on localising its model and talks through the company’s ambitions to become the number one hotel chain in the world by the year 2023. What makes the OYO model click globally? The most essential aspect while trying to make it big globally is to understand the market and innovate accordingly. We believe localisation is key to succeeding. At OYO, we follow a hyper-local strategy. Every region cluster has a local leadership with full autonomy to make decisions required to localise the product and build their own localised version of “OYO” while emulating the best of the OYO model in India. This has helped us to understand what works well for each market. For example, when we entered the UK market, we realised that the market had immense opportunity and demand in the mid-market category. So, we decided to enter with OYO Townhouse to address that requirement immediately. We have built a strong team headed by Jeremy Sanders who has been a serial entrepreneur himself. We look forward to growing our presence in the UK under his guidance. Do you think OYO’s trajectory indicates that Indian hospitality start-ups are coming of age at a global scale? For us at OYO Hotels, it’s still Day 0! With 13,000 assets across the globe, we strongly believe that we have just scratched the surface and there is still so much to be done across hospitality markets in the world. Our mission is to help millions of people worldwide to find a perfect space in every place and we’ll continue to move towards it in the years to come. How is OYO’s UK entry shaping up since last year? We entered the British market with four beautiful OYO Townhouse hotels in London that offer more than 80 rooms. It was the first market for us outside Asia following a swift and strong growth in India, China, Malaysia and Nepal. In a brief period of time, our chain has grown to over 250 exclusive rooms. Our Townhouse at Sussex Gardens runs at 93 per cent occupancy and we’ve received an overwhelming response to our offerings in London. In terms of investment, we have committed over £40 million in the UK, where our focus is on upgradation and transformation of existing infrastructure while introducing our proprietary, tech-based solutions for delivering a hassle-free experience to our guests and high yield for asset owners who are a part of OYO’s chain of hotels. In addition, we plan to launch in 10 cities to host guests in over 5,000 rooms by 2020. What made OYO choose the UK market? The UK offers a huge opportunity from the purview of both the travellers and hospitality sector. It has been the topmost international travel destination for several years and it was predicted that UK will host over 40 million tourists in 2018. Driven by its booming domestic and international travel and budget hospitality needs, the UK presents a multi-billion-dollar opportunity for OYO. We are thrilled to now be able to offer OYO’s affordable, hassle-free and quality living experiences to guests across the UK while ensuring increased and sustainable yields for asset owners. What are the company’s wider international expansion plans? Currently, OYO Hotels is present across 500+ cities in India, China, Malaysia, Nepal, UK, UAE, Indonesia and the Philippines. Our aim is to become the number one hotel chain in the world by the year 2023. We see an excellent opportunity to achieve this goal and are adding over 64,000 rooms every month to our portfolio staying committed to our mission. Our expansion across India and international territories is backed by our strong operational capabilities and our ability to use technology to improve efficiencies at every touch point. We are looking at the largest 15-20 markets of the world which are characterised by fragmented inventory and the future looks bright as these are also the all-purpose markets like China, and the UK. What are some your top tips for Indian start-ups eyeing the global market? It is important to understand different markets and fine-tune your approach accordingly. You cannot ‘copy-paste’ the same approach everywhere. So, study your potential markets and get a thorough understanding before you design strategy. Your ultimate goal should be to identify a unique problem that is both scalable and significant and solve for it. The focus on expansion is secondary. Identifying the issues unique to each market is important rather than adding more countries to your portfolio or introducing a product or service that has worked well elsewhere. Moreover, cardinal rule one for every business is to put the customer at the centre of everything you do. The definition of ‘customer experience’ may vary from region to region, so you must ensure that you are always hungry, always listening.